The compact computer workstation is a mobile computer table designed for use within schools and has been built to last. 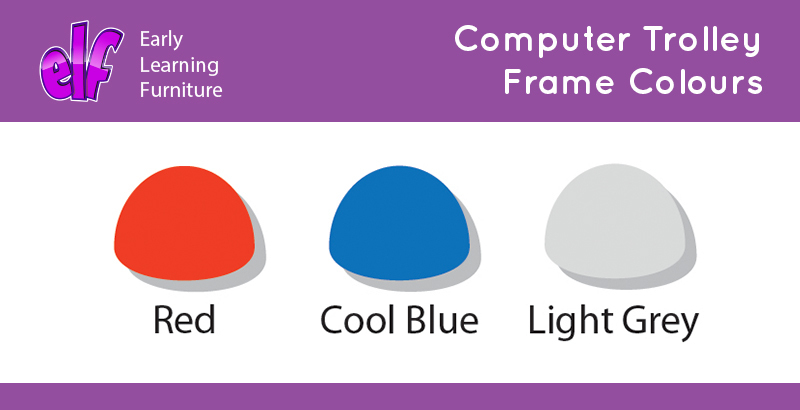 The heavy duty steel frame is available in red, cool blue or light grey finishes. The beech top is constructed from 18mm MFC and comes complete with easy glide castor wheels for easy mobility. 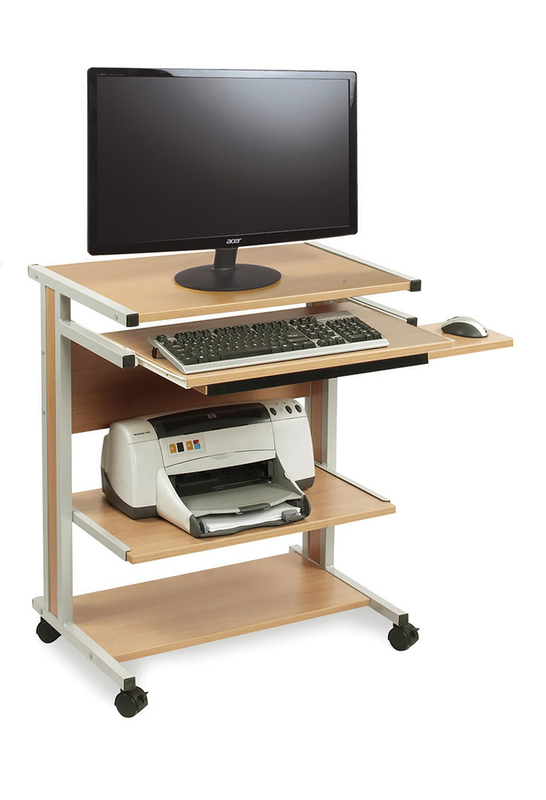 The compact computer trolley comes with a fixed height of 815mm or a height adjustable unit which is fully adjustable from 835mm to 935mm high. The top shelf is the ideal position for a computer monitor and the sliding keyboard shelf with sliding mouse shelf makes it easily accessible to use when required. The sliding middle shelf can hold a printer if required and the bottom fixed shelf allows for additional AV storage.